Western authenticity is alive and well in Montana. Here, working ranches still sprawl across hundreds of acres, with devoted ranchers raising livestock and farming the land. Cowgirls and cowboys work hard and play hard in Yellowstone Country, and one of their favorite pastimes is straight-up, down and dirty rodeo. So pack up your boots and get ready for thrilling entertainment, huge celebrations and a whole lot of down-home camaraderie. An annual spring event, MSU Spring Rodeo kicks off the season! Watch as college cowgirls and cowboys gather from around the region to compete. There’s nothing like the thrill of a rodeo, and Bozeman turns out some fierce competition! 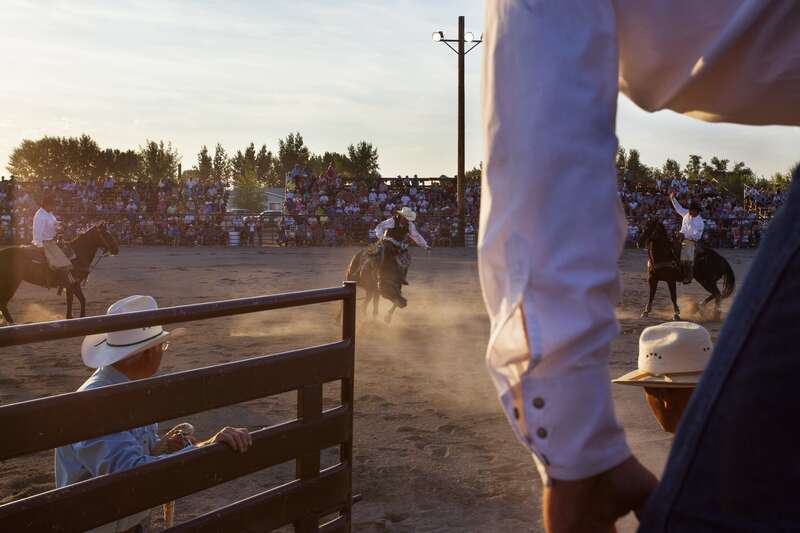 With over 50 performances throughout the summer, chances are you’ll be able to catch a rodeo if you find yourself in West Yellowstone. 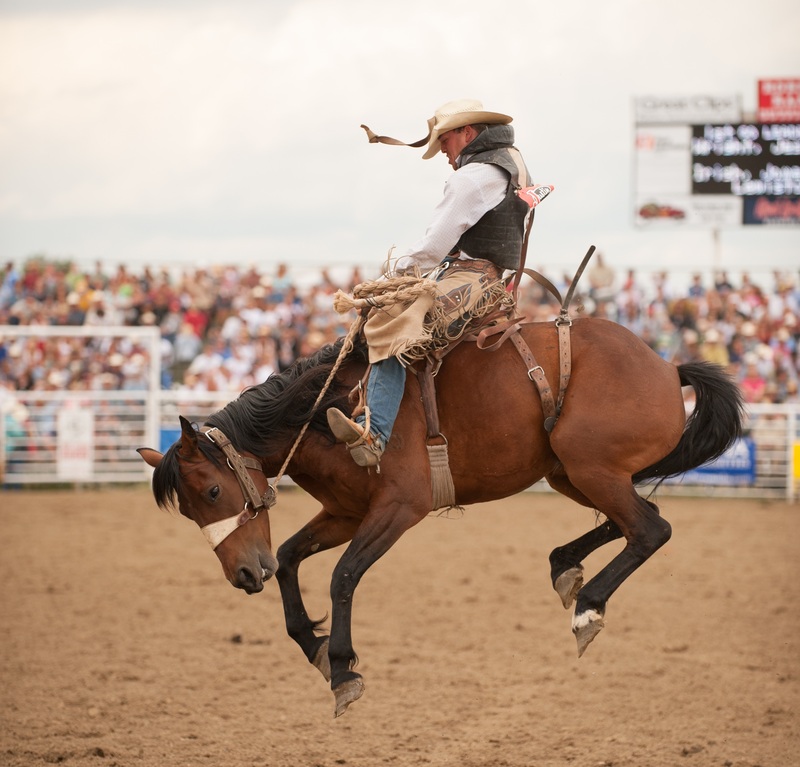 For those who enjoy new adventures, try a Rodeo Ride—a guided trail ride leaving at 6:30 p.m. and returning at 7:30 p.m., just in time to grab a bite and watch the show! If you’re planning a trip to Yellowstone National Park, this is a great rodeo to schedule your trip around; the whole town comes out for this local tradition. Plus, the park is quieter this time of year, making it a perfect time for wildlife watching. Sweet Grass County knows how to throw a celebration, and the rodeo is at the center of their summer festival. Turn your visit into a full weekend of enjoyment with exhilarating events, live music, a parade, fun run, car and tractor show, vendors and a kids fair. This PRCA Rodeo draws cowgirls and cowboys from around the world. Now in its 95th year, this rodeo is a Yellowstone Country tradition. Monday kicks off with a parade at 3 p.m. and rodeo performances run each night, followed by fireworks. Tuesday afternoon plan to watch the Kiddie Rodeo, where the little ones compete on stick horses; trust us, it’s quite the show. 90 years and still going strong, the Home of Champions Rodeo started with local cowboys gathering on Sunday afternoons to ride exhibition broncos. It didn’t take long to evolve into a full-fledged rodeo that still draws some of the best competitors from around the region. Each day starts with a parade and a fireworks display on the Fourth of July caps off the celebration! Three Forks is a small town that packs a punch. Located near Missouri Headwaters State Park, it’s a perfect spot for a family campout. The Headwaters Trail system is a lovely bike path for commuting in and out of town. Saturday begins with a parade, followed by the rodeo and topped off with a boot-stomping street dance. This is not your standard rodeo; participants in this ranch roundup compete in events emulating working ranch life. Watch the skill involved in bronc riding, cow sorting, branding or wild cow milking. Known as one of the top-paying touring professional bull-riding stops, this event also serves as one of the biggest fundraisers for Big Sky’s various charity organizations. A golf tournament, art auction, live music and street dance round out the festivities, making it a must-do event for both locals and visitors. The Livingston Classic PBR is the premier sporting event in Livingston, MT. With a sell out crowd each year to witness the best bulls and bull riders in the world, this is the event you don’t want to miss! This year will be no less. Featuring the top 35 bull riders in the world, 60,000 pounds of bucking bulls. 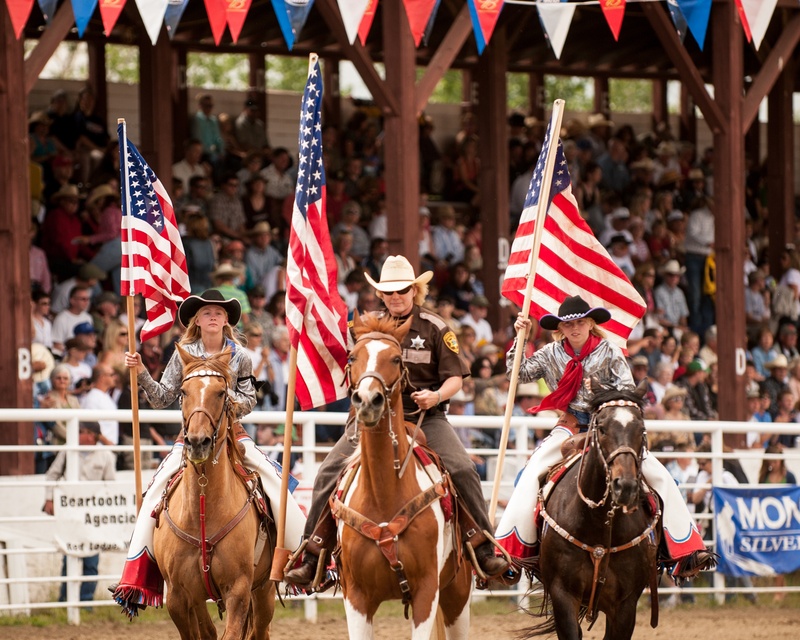 This West Yellowstone rodeo is held at Diamond P Ranch Arena. Get there early and take a trail ride over the Continental Divide on your horse or one of the Diamond P's. Enjoy world class fishing or head to town for shopping, dining, entertainment, etc. If you have never been to this beautiful part of the world you won't want to miss it. Bozeman may be growing, but it’s not outgrowing its love of rodeo; this cowboy town is holding on to its roots. With the spectacular Bridger Mountains as your backdrop, this may be one of the most scenic rodeo arenas around. For more information, go to visityellowstonecountry.com.